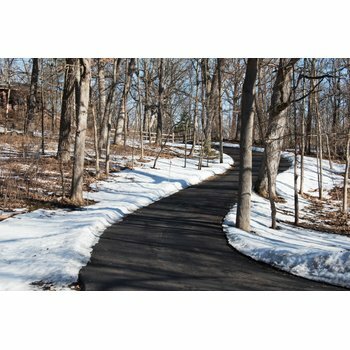 A heated driveway is one of the most convenient and valuable features a home can have because it’s timely, labor-free and cost effective in the long run. Depending on the type of control the homeowner buys, these systems can start working as soon as the weather takes a turn for the worse, making sure that snow and ice never have a chance to accumulate. They also save homeowners from dangerous back-breaking labor and the expense of hiring someone else to shovel or plow. When a snow-melting system is not working, it’s abundantly clear because all the advantages of having a heated driveway go out the window until the system is repaired. Snow starts to accumulate, and you find yourself in the rare instance of having to figure out how to clear it. How does this happen? In most cases, damage to the heating element occurs during installation. While installing the driveway on top, a rake or shovel may strike the heating cable, damaging it. Oftentimes, this will immediately cause the system to fail, but other times it may take longer for the damage to become apparent. Depending on the severity of the damage, it may take continued use of the system for it to eventually fail. Repairing a heated driveway only requires a small part to be excavated. Luckily, troubleshooting a damaged electric driveway heating system is quick and easy. Contrary to what you might think, you don’t need to tear up an entire driveway to fix the snow-melting system underneath. The problem area can be located with special tools, so only a small part of the driveway will need to be excavated and replaced. There are two ways to repair a heated driveway. To find out which repair option is best for you, the first thing you need to do is verify whether an installation plan was used and accurately followed for your snow-melting system. This will determine which tools you’ll need and how quickly the issue can be resolved. A ShortStop can be used to locate a break or short in a snow-melting system installed under pavers. If your snow-melting system was installed under pavers, you may want to consider using a ShortStop Time-Domain Reflectometer to locate the break or short in the system. This method is less expensive than the alternative and it does not require an electrician. However, it can also be less accurate. The ShortStop tool works by sending an electric signal down the heating cable and reporting back the length of feet down the wire to where the break or short has occurred. This is why accurately following the installation plan is so important. When you know how the wire has been laid, you can easily locate the fault location using this method. Once the ShortStop tool has located the break or short in the system, the pavers can be removed in that area and the heating cable can be repaired with a splice kit. You can rent a ShortStop from WarmlyYours for 14 days with a deposit of $300, which is refunded when the device is returned. There is no rental cost; you’ll only be charged for shipping. If you’re not sure whether or not an installation plan was followed, you’ll need to repair your system with a Trouble Shooting Kit (TSK). The WarmlyYours TSK consists of a Variac Transformer, Dielectric Strength Tester (Hi-Pot), ShortStop, extension cords and splice kits. Because this kit consists of multiple tools (some of which are very heavy), it’s costlier to ship and, therefore, more expensive to rent. A TSK costs $150 to rent for five days, with a refundable $500 deposit. The renter will also be charged for shipping. A thermal imaging camera is also necessary alongside a TSK but must be rented separately. A thermal imaging camera costs $100 to rent for five days, with a refundable $500 deposit. The renter will be responsible for shipping costs only one way. Once the short or break is located, the driveway can be excavated and the heating cable spliced and repaired. The TSK and thermal imaging camera identify breaks or short circuits in a snow-melting system by making the issue visible through the pavement. That’s why knowledge of the system’s layout is not necessary for this repair option. It’s important to note that a licensed electrician is necessary when using a TSK because it deals with high voltage. Just like with the ShortStop repair option, once the issue is detected, the pavement can be removed and the heating element can be repaired with a splice kit. By renting the appropriate equipment mentioned here, you’ll be able to restore your snow-melting system to all of its former glory. To rent tools or get more detailed instructions, contact WarmlyYours at 800-875-5285. And don’t forget, WarmlyYours Technical Support is available for assistance 24/7 at the same number. 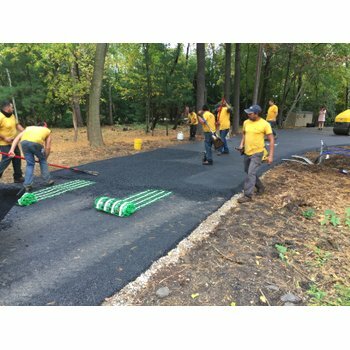 We’ll make sure you have the tools and resources you need to repair your driveway as quickly as possible.